Workers’ compensation is essential for many individuals who are injured on the job. However, today’s changing workforce could potentially have a negative impact on workers’ comp in the future. Here are five future obstacles for workers’ compensation, and what steps to take if you’ve been injured on the job. Joseph Paduda, principal of Health Strategy Associates LLC, suggests that there are well over 200,000 workers’ compensation claimants that have been using opioid based medications for over six months. Not only does opiate abuse and addiction keep employees from going back to work, there is a concern that many of these medications being prescribed are not actually being taken by the patient, but instead sold on the black market. The United States is once again becoming a world leader in industry and manufacturing. However, the rise in new jobs means that more new workers will be potentially exposed to hazardous or dangerous conditions in the workplace. As a result, injuries will increase, further taxing the workers’ compensation system and costing employers more in the long run. With the continuing advancement of technology, telecommuting is becoming more and more common. However, the lines of what is covered and what isn’t covered under workers’ compensation for telecommuters are often blurred. Does workers’ compensation protect against injuries in the workplace if the workplace is the person’s home or car? Although accidents will occasionally happen regardless of precautions taken, it is an employer’s responsibility to ensure that employees are working in a safe and hazard free environment. Recently, OSHA has begun to focus their efforts more on punitive consequences for employers who are willfully negligent, or in situations where employees are losing their lives in on-the-job accidents. Safety is increasing across the board; however, changing policies and best practices take time and is often a huge hurdle that requires effort to overcome. Although it is still much too early to determine whether the ACA will have a positive or negative impact on workers’ compensation as a whole, it’s clear that there will indeed be an impact. Chief Economist for NCCI Harry Shuford suggests that the ACA’s identification of best practices when it comes to certain injuries will have a positive effect on workers’ compensation and how work injures are treated. 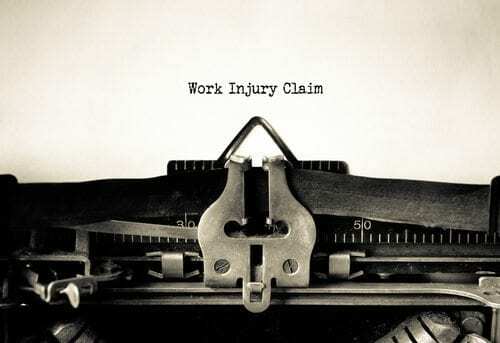 Although workers’ compensation stands to go through some big changes in the future, it is still available now for many individuals who are hurt on the job. If you have been involved in a work-related accident, don’t hesitate to reach out to an experienced workers’ comp lawyer for assistance. Call the Wanko Law Firm today for a consultation to discuss your workers’ compensation case in detail at (985) 893-6530.